We are situated approx. 1.5klms south of the CBD or a short 2 minute drive. 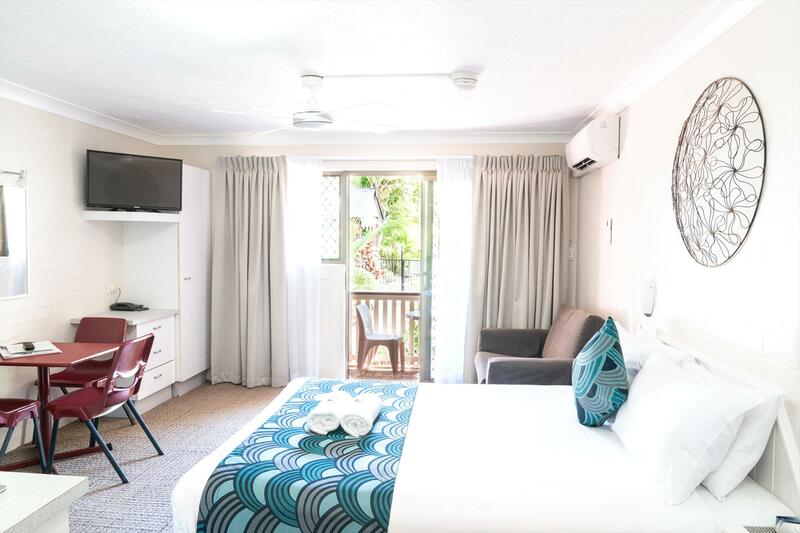 An affordable motel surrounded by tropical gardens and spacious lawns, overlooking a tranquil saltwater pool. 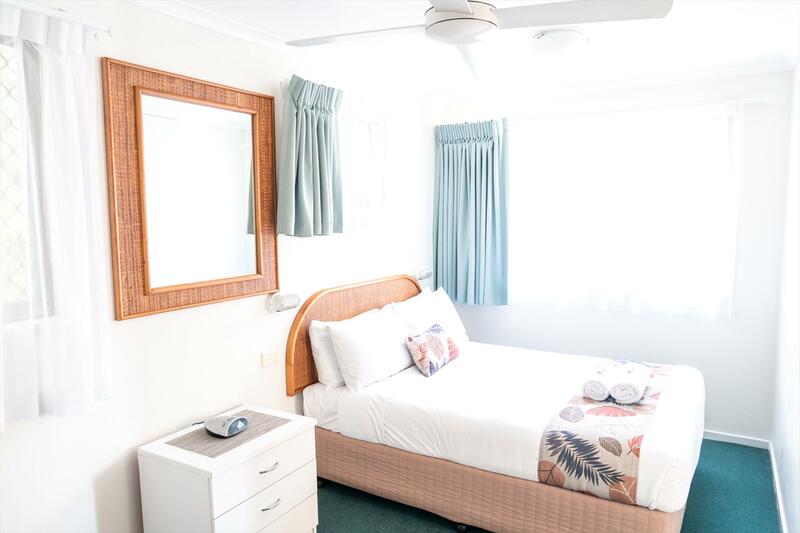 Set on 1.5 acres of landscaped gardens this Byron Bay motel has studio rooms, 1 and 2 bedroom family studios and suites, and one bedroom cottages offering comfortable, clean and affordable accommodation. 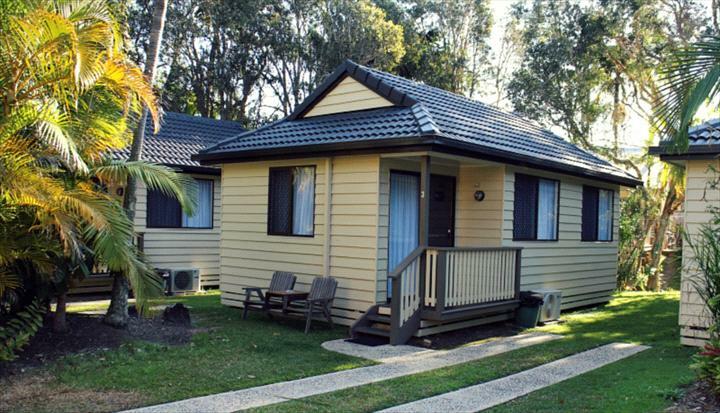 All studios and cottages feature fully stocked kitchenettes with microwave and fridge. 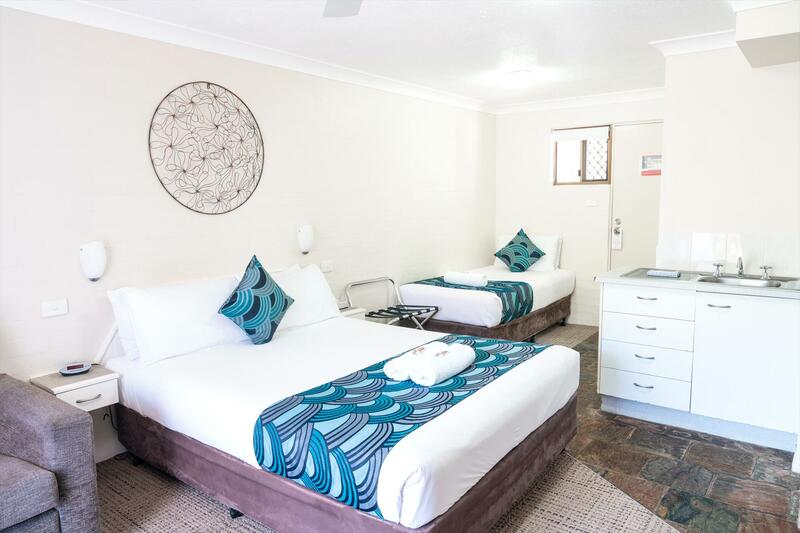 There is reverse cycle air conditioning in all rooms, TV's with Foxtel and direct dial phones. 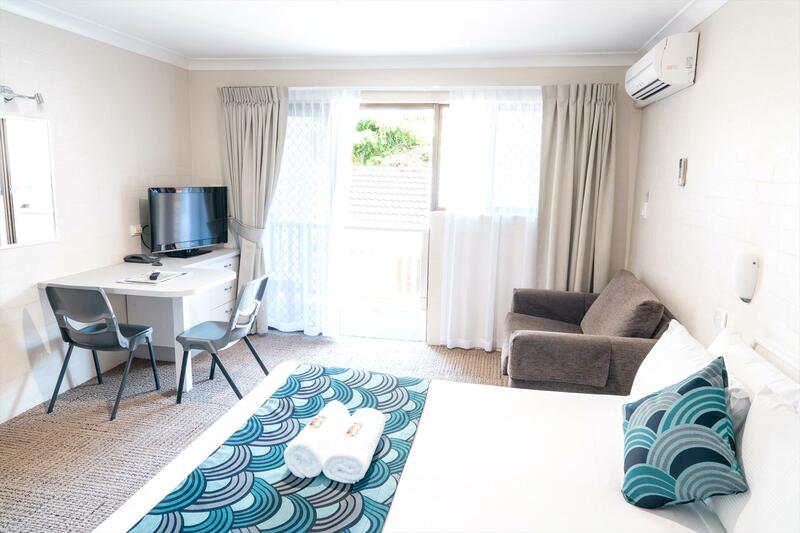 There are a range of guest facilities including a saltwater pool, landscaped gardens, undercover BBQ and a lounge area with internet. 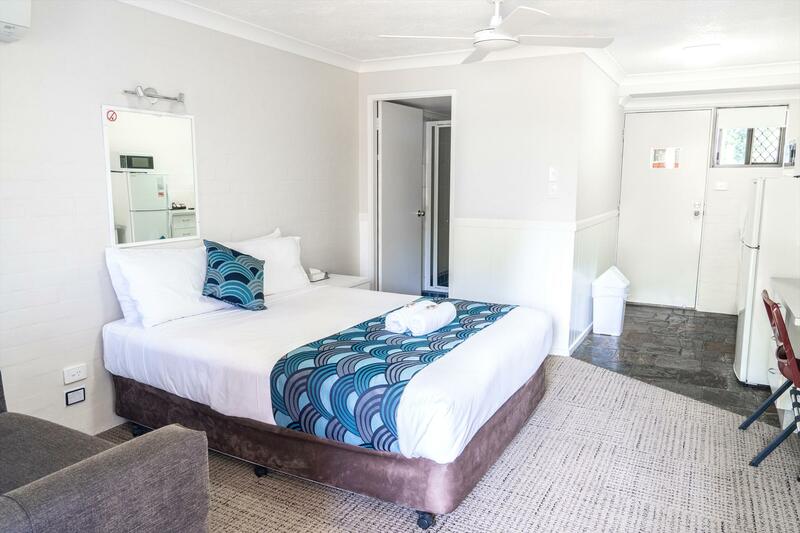 When looking for a place to stay in Byron Bay for your next holiday this motel offers a great accommodation deal. 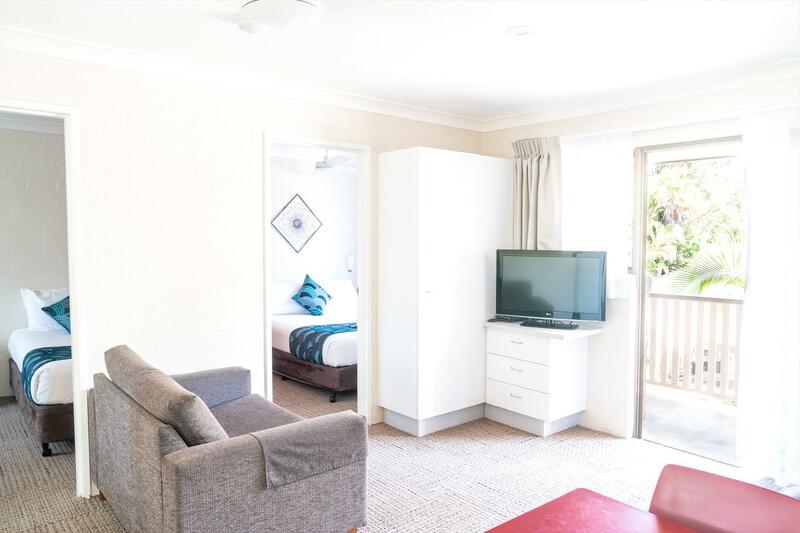 Located a short distance from the centre of town and convenient to many of Byron's beautiful beaches, national parks, markets, galleries, cafes and restaurants. Experience the unique atmosphere of Byron’s town centre. Close to everything Byron has to offer including a variety of restaurants, cafes and boutiques. The pristine beaches of Byron Bay are only a 5 minute drive from your accommodation, and town centre is 4 minutes drive.